Towers soaring to 600 feet and more are creeping beyond Midtown Manhattan into residential neighborhoods like the Upper West Side, threatening the balance between preservation and development that makes communities like ours so beautiful, livable, and valuable. 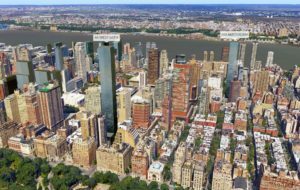 Mostly, these supertall towers are built as-of-right without any public review or analysis of impacts on neighbors, historic resources, infrastructure (transportation, sanitation, emergency services, storm resilience), and quality of public space. Mayor de Blasio’s Department of City Planning defends these towers, under heavy pressure from real-estate developers and their lobbyists. Grassroots efforts to update zoning regulations are ignored, even in cases where it hasn’t been updated in 50 years. The Department of Buildings has allowed increasingly aggressive interpretation of the zoning, following developers’ leads when determining what is and is not legal. Meanwhile new, cheaper construction technology makes it ever-more viable to build supertall buildings on relatively small lots. Developers take advantage of financial giveaways like the tax breaks formerly known as 421-a. City Council oversight hearings on the Department of Buildings and the Department of City Planning – Let’s go to the source and ask, what’s broken and how do we fix it? Lose the loopholes – Supertall towers rely on vast mechanical spaces, voids, floor-to-ceiling heights that are on average 60% higher than normal, strangely configured zoning lots, sometimes even stilts(!). Manipulations like these should not be exempt from counting towards the total floor area allowed on a site. Cap on as-of-right transfer of development rights – Development projects that result in buildings that are hundreds of feet taller than the zoning normally allows on a site should not be allowed “as of right”. Limits on new shadows, especially on parks – San Francisco’s “sunlight ordinance” prohibits development that would cast shadows adversely impacting parks. Transparency, transparency, transparency – Information about planned development needs to be made publicly accessible – in both database and map form – so that communities can track projects and anticipate their impacts before it’s too late. Good public policy? Yes. Politically challenging? Of course. The developers (who fund political campaigns) will push back with all their considerable might. But at a certain point, we have to ask ourselves, what kind of a city do we want to live in?